crackdown against small-time firework factories who might be illegally hiring minors for their business. 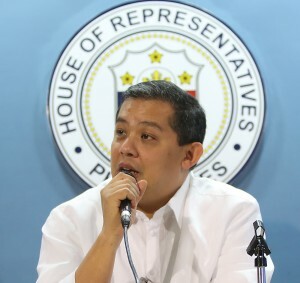 Saying fireworks makers could endanger the lives of the minors, House independent bloc leader and Leyte Rep. Martin Romualdez urged the authorities to act at this early stage to spare children from entering the so-called very dangerous workplace. protection of the children,” said Romualdez. Romualdez lamented the situation in the past years where parents allowed their children to work despite the risk of being severely injured or killed if the fireworks explode. “These minors need have to enjoy their childhood for them to develop mentally and physically under the care of their parents,” stressed Romualdez. The Leyte lawmaker also said that government programs against poverty alleviation should be accelerated. He said, “Various sectors should bind together and support all programs that would mitigate the impact of poverty if not totally eradicated. We have to generate more jobs.” The lawmaker said that the continued practice of child labor in the country despite competent laws and international declarations was mainly attributed to the not so good socio-economic and political circumstances. international laws and declarations related to child labor, among them the International Labor Organization (ILO) Convention 138, which sets 16 as the minimum age for employment, and ILO 182 which prohibits all forms of child abuse. The country also has Republic Act (RA) No. 7658 which prohibits the employment of persons below 15 years old, while the DoLE prohibits, through Department Order No. 4, persons below 18 years old to engage in type of hazardous work.